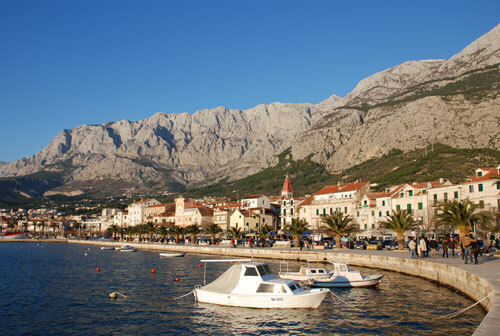 Makarska Riviera is a part of hinterland of middle Dalmatia, about 60 km long and 3 km wide. 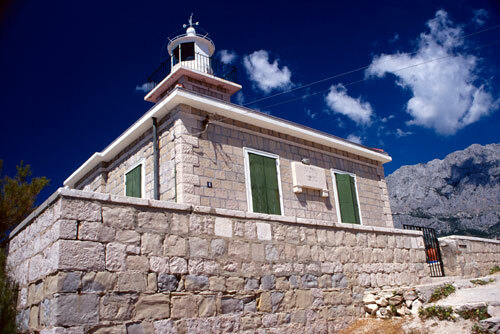 In the embrace of the mountain Biokovo (1762) and bathed with sun more than 2700 hours per year with the average temperature which is more than 20 oC, Makarska Riviera is a little Mediterranean paradise. Beautiful clean see can be praised with the yearly temperatures which are morethan 20 oC. During the summer the temperature of the sea varies from 25 oC and 27 oC. Winters are relaxing and sunny, and summers are long and warm with the refreshing maestral – the wind that from the open sea unobtrusively brings natural refreshement which is highly necessary during the summer days. From other winds we have bura (north wind) which brings coldness and jugo – a warm wind from the sea which brings wetness and it is extremely popular between the admirers of water sports such as sailing and surfing. 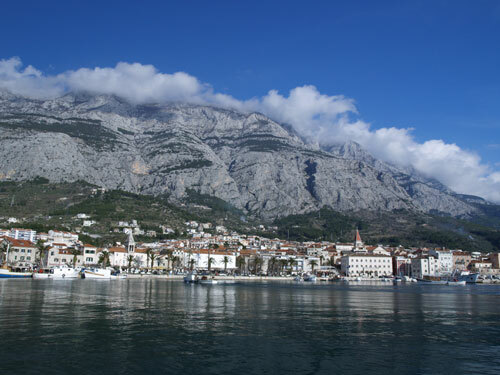 The centre of Makarska Riviera is town Makarska. Brela, Baška Voda, Promajna, Bratuš and Krvavica are situated northwest from Makarska. 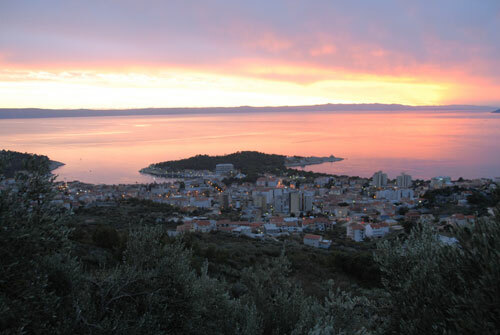 Tučepi, Podgora, Drašnice, Igrane, Živogošće, Blato, Drvenik, Zaostrog and Gradac are situated southeast from Makarska. During the tourist season, in all places of Makarska Riviera different manifestations take place – cultural, amusing, sport, recreational... Those are the days of traditional folk festival when the patron saints of the places and the days of the famous history are celebrated. Except of the pageant and folk festivity 'Fishermen nights' and a lot of others amusement and sport events take place. They are taking place on beaches or hotel terraces. In Makarska all performances are included into programme 'Makarska's summer'. The most famous are 'Fishermen nights', 'Summer carnival' and 'The night of Kalalarga'. But that is not all! We also have performances of amusing and classical music from the famous gangs, singers and folklore groups from country and abroad. They usually take place on Kačić square, 'riva', but also on other appropriate scenes such as: in front of St. Peter's church on the penninusla which has the same name.